Still trying to get back into the swing of reading the newly released comics. That this comic is only two months old makes it one of my more recent reads. But it is another substitute hero. That hasn’t worked so well so far with my being less than impressed with the substitute Thor, Wolverine, or Captain America comics. Still, I guess I should give it a chance. Quick Review: Let me be up front. This was a great comic. It is going to be hard to get through this review without referring to it as “totally awesome.” Greg Pak is a skilled writer and his work on Hulk/Hercules was some of his best. His returning to Amadeus is also a return to form as good story and good fun fill this issue. As does amazing art. I’m always happy when Frank Cho is on a book, and this book shows why. Beautiful comic art and strong storytelling. And monsters. It was an effort to write this review instead of just skipping off to issue two. Analysis: It’s pretty easy for the more conspiratorially minded comic reader to make an argument for Marvel shelving classic characters (read: white male) for newer interpretations (read: minority). It’s happening a lot, and what’s worse the stories being told don’t exactly light the world on fire. Sure, the argument could be made that this is likely another example with Banner being shelved to get more use out of the Korean character Amadeus Cho. But you know what? With a story this good, I don’t think I mind. And here is the other part, we aren’t yet given the full picture of how Amadeus became the Hulk (unless there is another annoying 0-issue I’m supposed to know about) or how Bruce stepped down. Or maybe got locked in the trunk of a car. But with what we are given, with Hulk and Hulk actions working out negatively for Bruce, this is still a very Hulk story. In fact, everything about this is very Hulk. Already we are seeing that Amadeus is not in complete control. There are others around that could turn from friends to enemies to victims or really any step along that scale. That is classic Hulk. And Pak can write the hell out of some classic Hulk stories, just as he can write some fun adventures. Just from this issue, this series promises to offer both. Did I mention that I am thrilled to have Frank Cho illustrating this book? He is an artist who knows how to make this larger than life moments and characters work on the comics page. His monsters look awesome. His Hulks powerful. And I’ll say it, his women are equally impressive. But, even though you can say he goes a bit cheesecake with his art, this is backed up by also depicting his women as strong and in control. Much in the same vein you might see coming from Amanda Connor. Really. The only thing wrong with having Cho on these opening issues is I don’t really think of Cho as being a fast artist. How many issues will we get until there is a new art team, and can that new art team follow Cho? While not part of this issue, that is a nagging question. Wrap Up: Great issue. 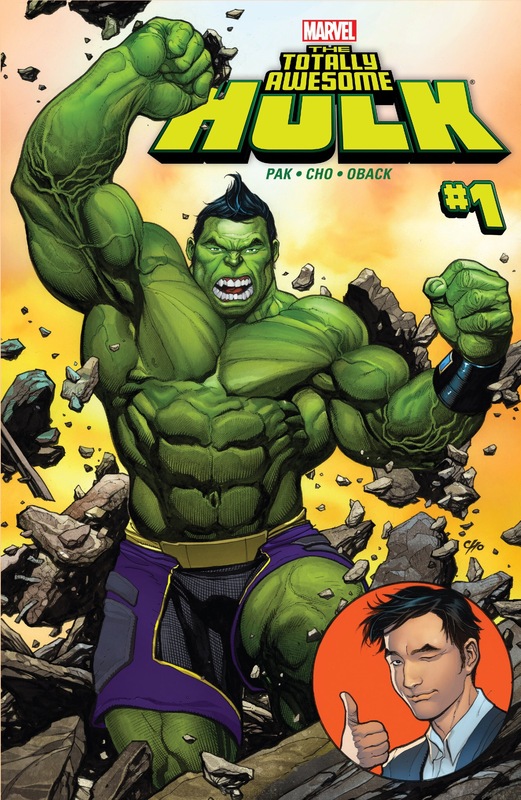 Delivers everything you would want from a Hulk story and everything you would want from an Amadeus Cho story. I’m going to rush out and read issue two. Them I might even pull out Pak’s Hercules issues just to freshen up on some Amadeus Cho. Is he still dating the snakehead girl? Probabaly not. I liked her.